Are you interested in a career in the securities industry? Whether you want to be a stock broker, a portfolio manager, an investment banker, or a financial advisor, as of Fall 2018 you will need pass the SIE (Securities Industry Essentials) Exam. Have you heard about the SIE Exam? This new qualification administered by the Financial Industry Regulatory Authority (FINRA) was launched Oct. 1, 2018 and is now open to anyone age 18 or older seeking to enter or re-enter the securities industry. Association with a firm is not required, making the SIE—Securities Industry Essentials—Exam a stepping stone on the path to becoming a knowledgeable, employable securities professional. Why Was the SIE Exam Created? The SIE Exam is designed to assess a candidate’s understanding of the securities market, foundational concepts and best practices. FINRA President and CEO Robert Cook said in a press release that the exam will allow for “greater consistency and uniformity to the process for entering or returning to the securities industry.” He added that more people will now be able to explore careers in the field—a nod to the SIE Exam’s accessibility for candidates with no prior experience or affiliation. 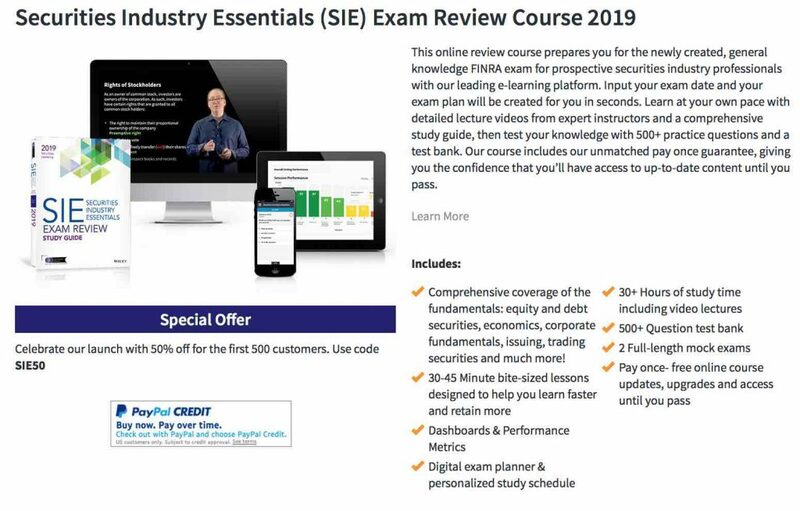 Aside from providing an introduction to securities, the SIE Exam is part of a greater initiative by FINRA to minimize overlap and eliminate duplicate testing across the organization’s 16 representative level exams. Candidates will now take the SIE Exam first, followed by a revised qualification exam (such as the Series 6 or Series 7) for their specific job functions. Should I Take the SIE Exam? The SIE Exam is primarily for unregistered candidates, such as students, to demonstrate their knowledge to prospective employers and jumpstart their careers. After you pass the SIE Exam, you will need to pass a qualification or “top off” exam in order to conduct business as a licensed securities professional. You must be associated with a FINRA member firm in order to sit for a qualification exam, but do not need to be associated with a firm to take the preceding SIE Exam. If you are already a registered representative, you do not need to take the SIE Exam to maintain your current registration or to add a new registration. What is on the SIE Exam? FINRA provides an official content outline of these sections in comprehensive detail. The exam costs $60 and requires a passing score of at least 70. You will see from FINRA’s outline that the SIE Exam—introductory as it may be—brings a challenging combination of depth and breadth. Let Wiley help you prepare with our 2019 SIE course, covering every learning statement on the SIE Exam with bite-sized lessons, practice questions, mock exams, performance metrics and more. 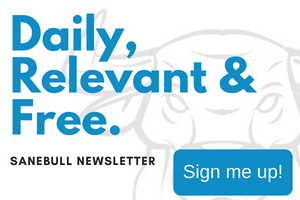 One of the most popular SIE Review Courses is offered by Wiley Efficient Learning.